Trees have been, are, and will continue to be a valuable renewable resource for myriad products from construction materials to books. To keep up with demand, the forestry industry tries to maximize tree productivity and stem growth. Predicting tree growth would allow foresters to select the highest yielding trees to maximize productivity in the future. But how can we predict tree growth? 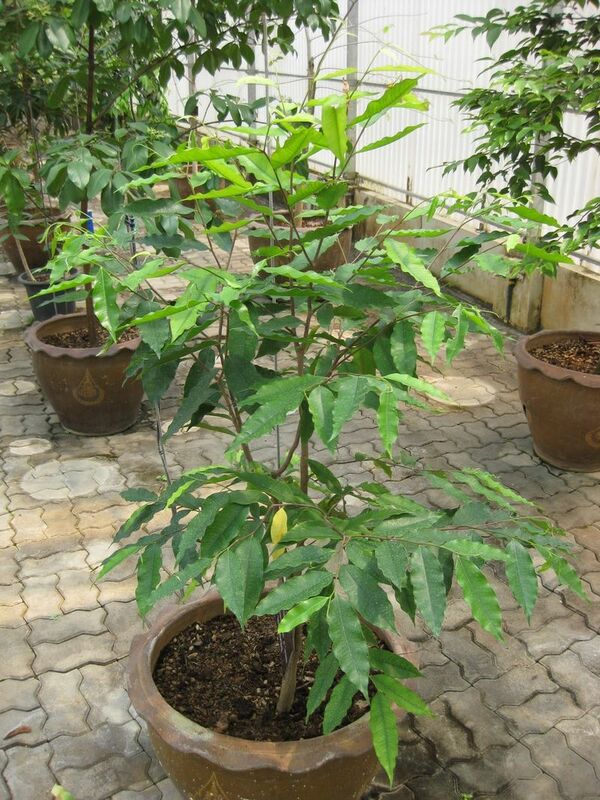 In a recent article in Tree Physiology, Arlene López-Sampson and colleagues sought to predict tree growth in an Aquilaria crassna (agarwood) plantation using only leaf traits. They found that the best predictor of tree growth in Aquilaria was the δ13C of the leaf tissue – this is the leaf stable carbon isotope ratio. Isotopes are types of an element, such as carbon, that have different mass due to a different number of neutrons in the nucleus of the atom (e.g. two common isotopes of carbon are carob-12 and carbon-13, which have 6 and 7 neutrons each, respectively). Since plants preferentially use CO2 that contains carbon-12 over carbon-13, plant tissues tend to contain less carbon-13 than expected if there was no preference between the isotopes (i.e. the plant discriminates against carbon-13). The δ13C trait is affected by photosynthesis, stomatal conductance, and the environment, and gives us a snapshot as to what the plant has experienced during growth – thus this trait is often associated with growth. López-Sampson and colleagues found that Aquilaria had a negative relationship between growth and δ13C. Since a more negative δ13C value corresponds to reduced instantaneous water use efficiency (the ratio of photosynthesis to stomatal conductance), this means that Aquilaria grew faster with excessive water use. While these findings seem intuitive in that a tree receiving more water can afford to use more water, the authors note that other studies have found a positive relationship between δ13C and growth. Why might this be? The plantation site for the authors’ study had an abundance of water, which means that water conservation was not necessary for the trees to survive. By increasing water use rates, the trees could pull more nutrients from the soil and maintain higher levels of CO2 in their leaves to support photosynthesis and growth. The implications of these findings are that when it comes to predicting tree growth based on leaf traits, it is important to understand how much water is available.